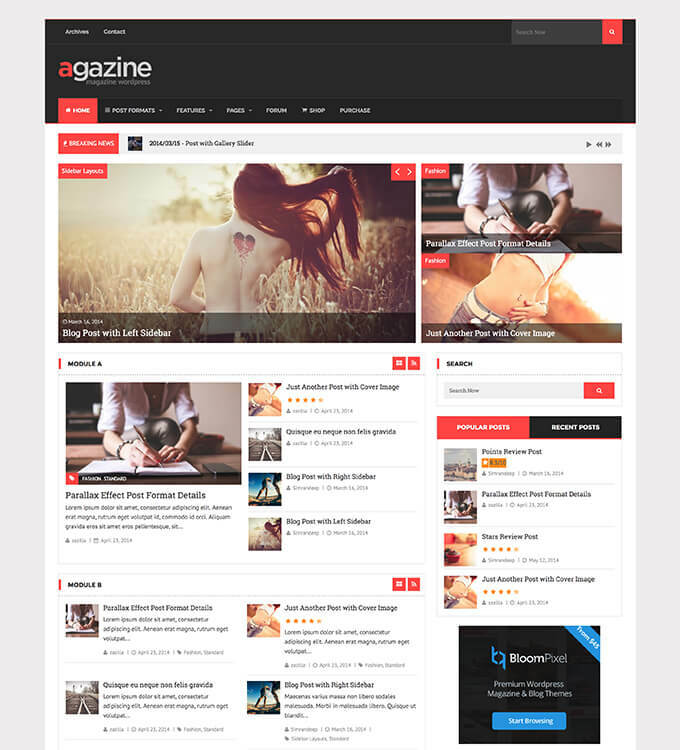 Agazine is a blog and magazine style retina ready WordPress theme. Theme is widget ready and really easy to use. It can be used for online magazines, news sites or blogs. Agazine is also compatible with WooCommerce and bbPress. It is not only compatible but shop and forum are customized to match theme’s styling. With responsive design and retina ready elements, it looks perfect on any kind of device.